Famous for his unparalleled portrayals of the American wilderness, Thomas Cole was the founder of the Hudson River school. 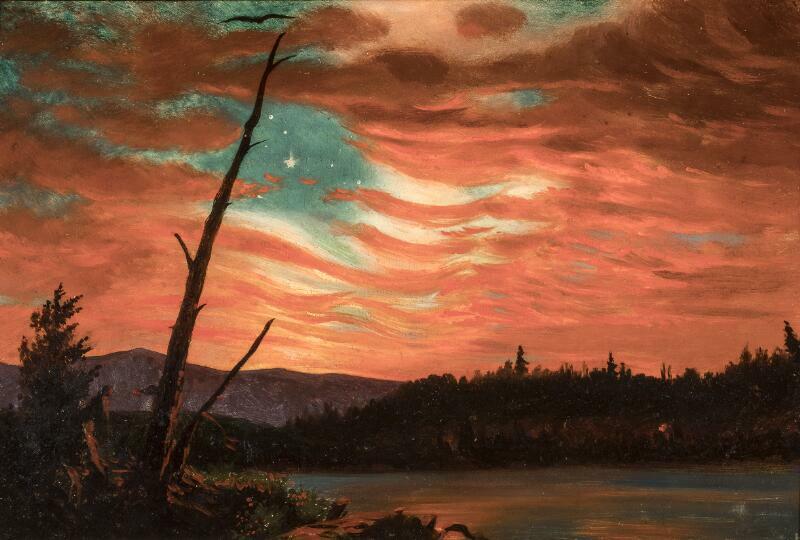 The hallmark of this group of artists was a uniquely American style of landscape painting that combined nationalist pictorial rhetoric with English aesthetic conventions. 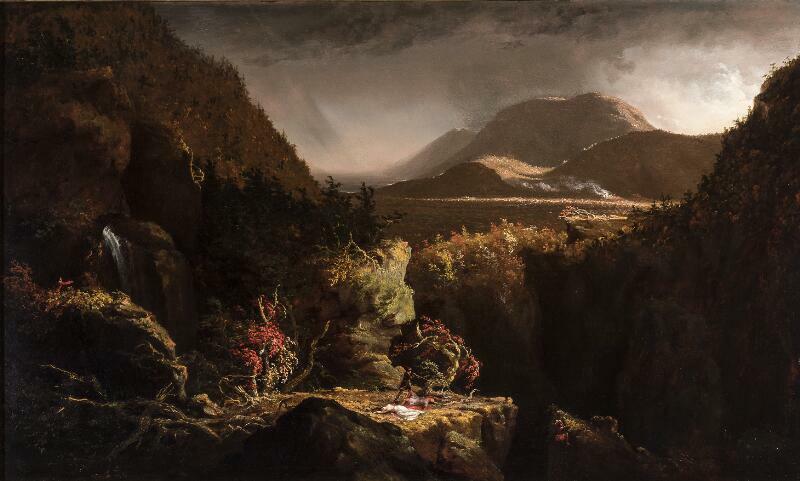 Commissioned for display on the steamboat Albany, Landscape with Figures depicts the tragic climax of James Fenimore Cooper’s popular novel The Last of the Mohicans (1826). The heroine, Cora Munro, clad in white, lies dying on a cliff beside Uncas, a Mohican who is killed while attempting to save her from Magua, a member of the enemy Huron tribe. Hawkeye, the book’s frontiersman hero, raises his rifle toward Magua, who dangles precariously from the cliff. 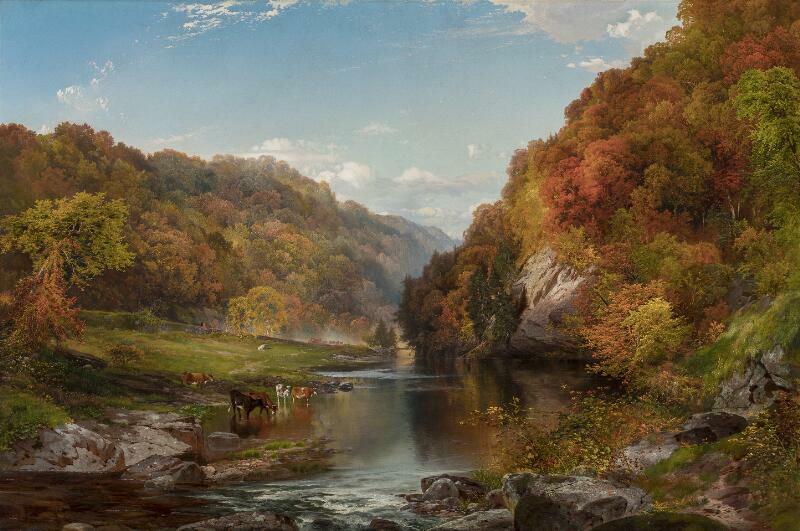 The grandeur of Cole’s mountainous, autumnal landscape overshadows the dramatic narrative, reminding the viewer that there are greater forces in the world than human conflict and desire. Landscape with Figures: Scene from “The Last of the Mohicans” is one of Thomas Cole’s key contributions to the development of a uniquely American style of landscape painting based on the idea of the American wilderness. 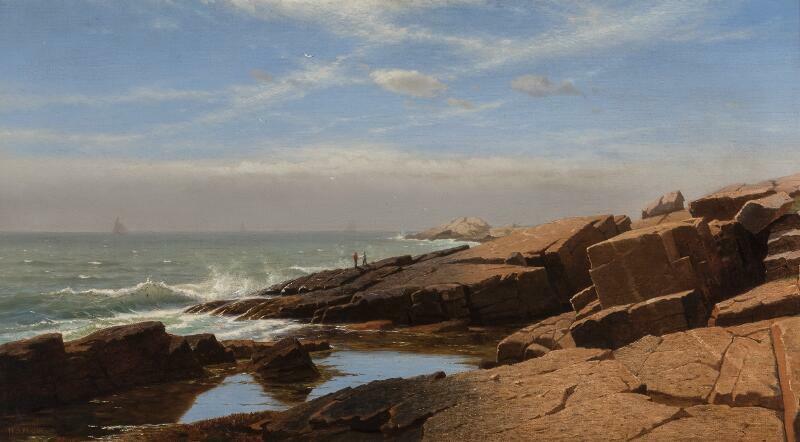 But the focus on Cole’s role within American art history has prevented consideration of his work in the context of art developments in both American continents. 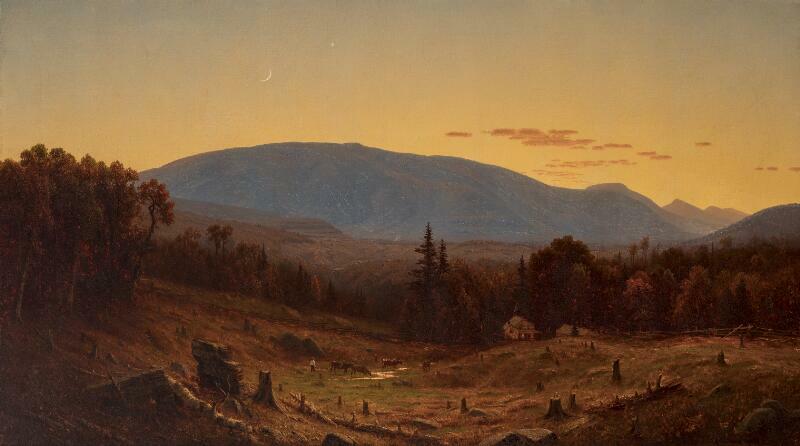 During the same years that Cole was producing his scenes from James Fenimore Cooper’s famous novel, the French-Brazilian artist Félix Émile Taunay (1795–1881) was also drawn to Cooper’s use of the wilds of upstate New York as a setting for historical fiction. Both artists recognized an opportunity to bolster the status of landscape painting by infusing it with literary and historical references. 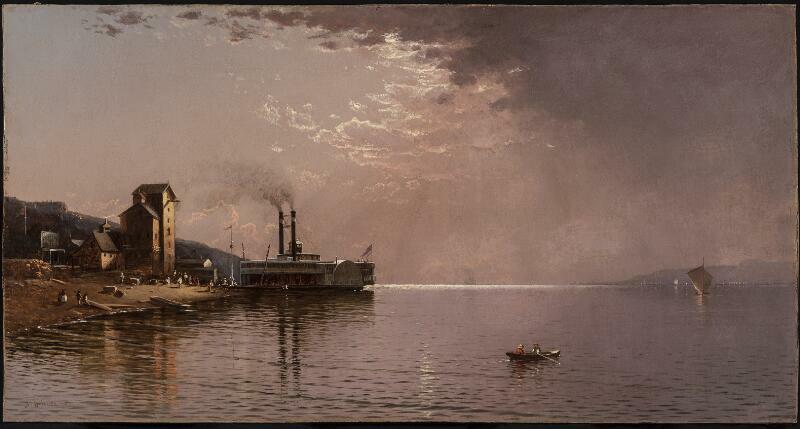 Cole’s picture was one of a cycle of twelve canvases by seven artists commissioned for the upscale steamboat Albany, which plied the waters of the Hudson River during this period. Most of the contributing artists, including Cole, were members of the newly founded National Academy of Design in New York City. 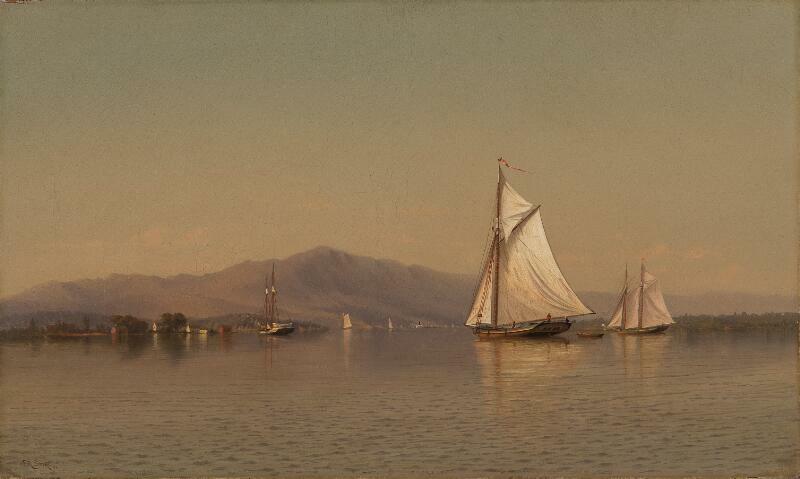 According to Kenneth Myers, Samuel F. B. Morse, president of the Academy, was responsible for the boat’s pictorial program, which cleaved to the European academic “hierarchy of genres,” but with a revealing difference: traditionally, history painting ranked supreme as the most intellectual and morally uplifting of genres, but half the paintings commissioned for the Albany were landscapes. 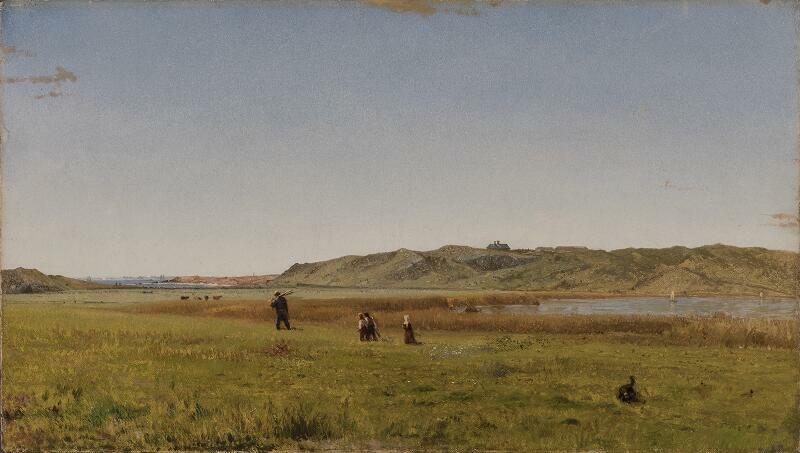 Cole demonstrated the capacity of landscape to incorporate local notions of wilderness, and to dramatize contemporary issues such as the confrontation between native peoples and Euro-Americans. 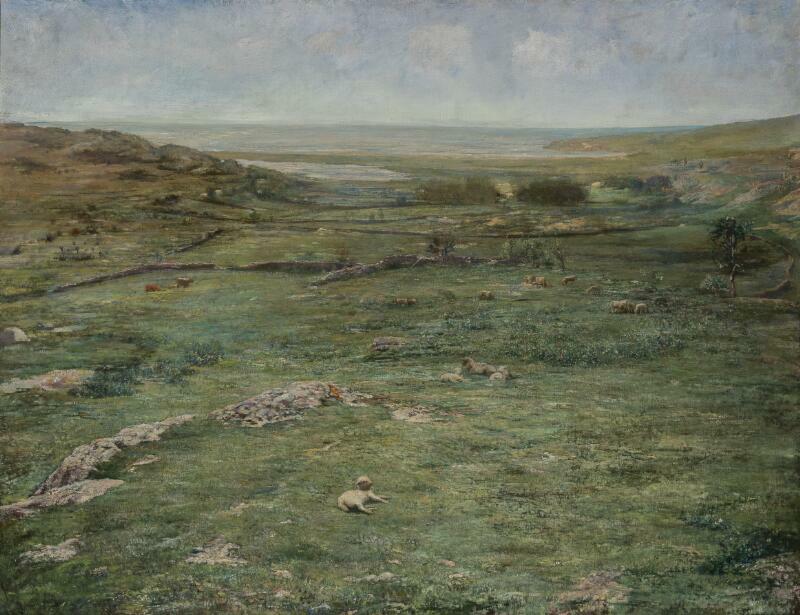 Meanwhile, in Brazil Félix Émile Taunay was starting his career as professor of landscape painting at the Imperial Academy in Rio de Janeiro. Trained by his father, Nicolas Taunay (1755–1830), a member of the Institut de France, Félix, like Cole, recalibrated the taxonomy of genres, exploiting landscape as a vehicle for reflections on local history and national identity. 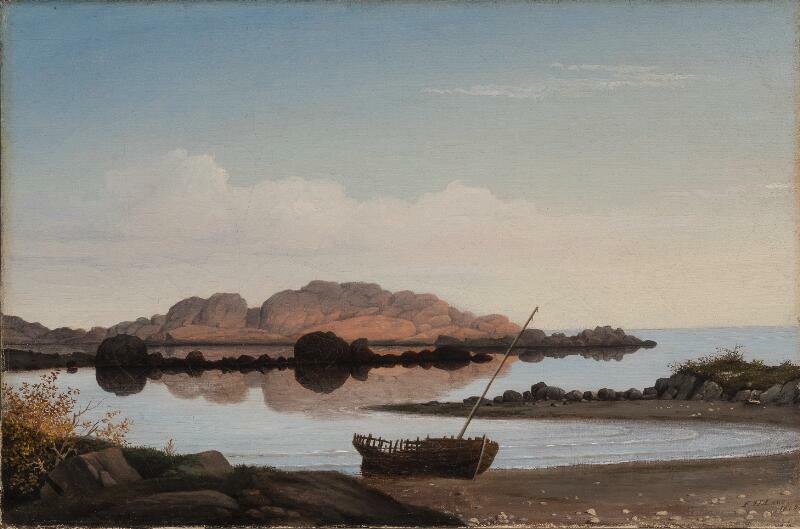 The three paintings he exhibited at the Academy in Rio in 1831 all incorporated history into landscape. Two survive: Guanabara Bay Seen from Snake Island (1828, Instituto Ricardo Brennand, Recife, Brazil) and a Historical Landscape of a Landing in the Largo do Paço (1829, Imperial Museum, Rio de Janeiro). The third is unfortunately lost, but a detailed description remains: Cora and Alice depicted a scene from Cooper’s novel in which the two daughters of a British military officer hiding in a cave with their Mohican allies sing a psalm—it is a visual argument for the power of art to unify people despite cultural or racial differences. 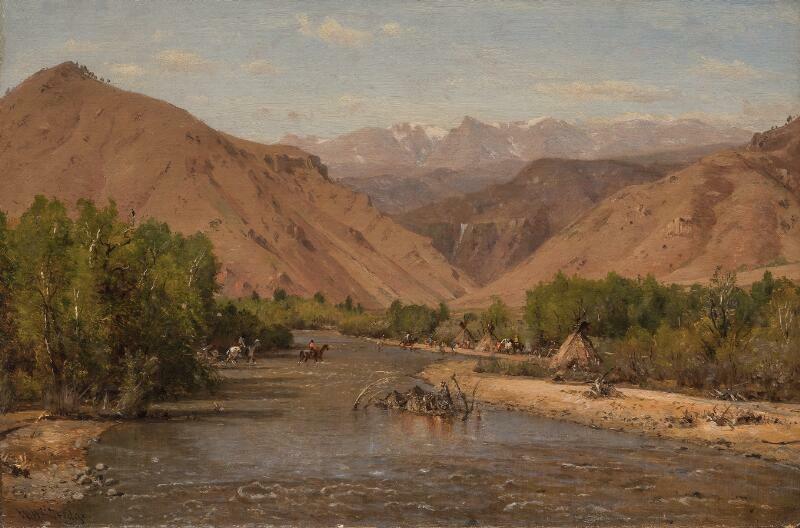 Again like Cole, Taunay chose to represent the encounter between native people and colonizers in the wilderness. We don’t know if he had any knowledge of Cole’s use of the Mohicans novel, but he was undoubtedly looking to North America when he chose this subject. 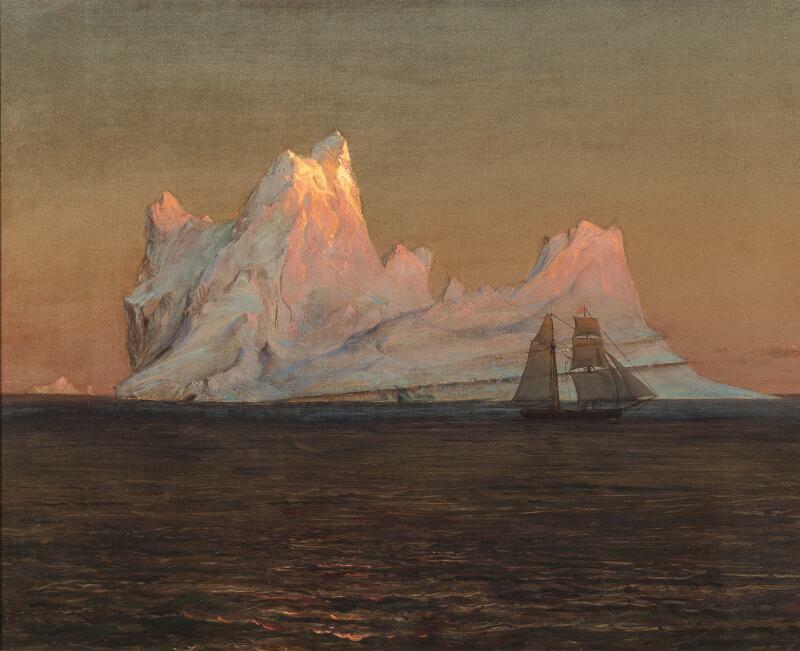 In 2016 Cole’s painting was shown at the Pinacoteca do Estado de São Paulo as part of the exhibition Picturing the Americas: Landscape Painting from Tierra del Fuego to the Arctic, where it offered a new context for understanding the impulses behind Taunay’s lost painting.Picturing the Americas: Landscape Painting from Tierra del Fuego to the Arctic was co-organized by the Art Gallery of Ontario, Pinacoteca de São Paulo, and the Terra Foundation for American Art. The exhibition traveled to the Art Gallery of Ontario, Crystal Bridges Museum of American Art (Bentonville, Arkansas), and the Pinacoteca de São Paulo. 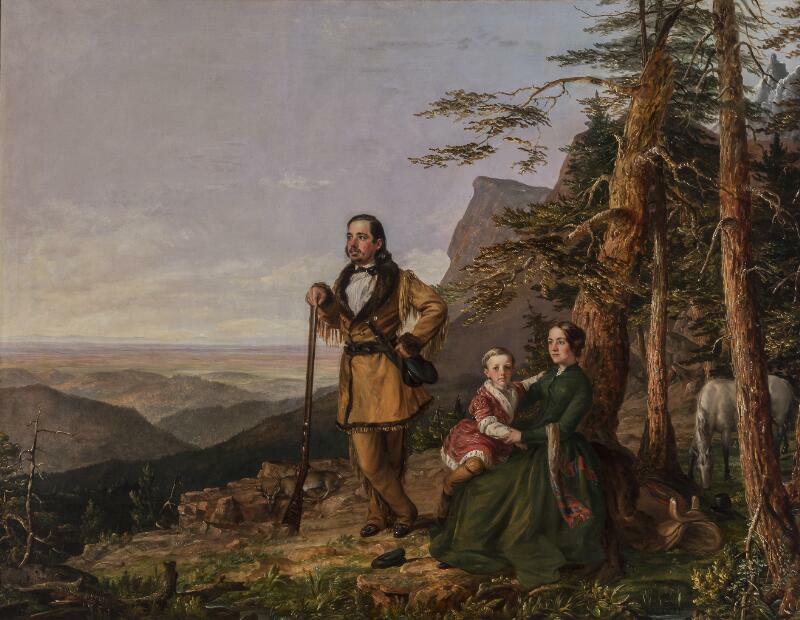 However different the two works may seem, they indicate that both artists faced similar questions, inspiring researchers to investigate unsuspected connections across the American continent in the nineteenth century.